Cracks in walls are nothing less than eyesores and are often a result of the natural settling of the house over time. 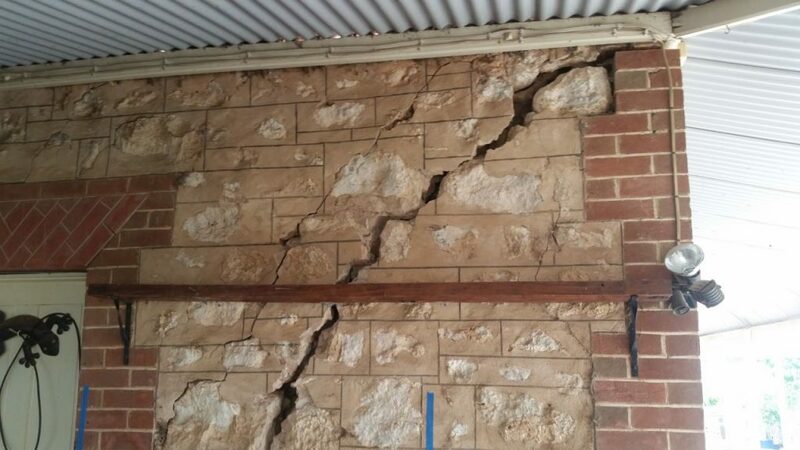 The appearance of cracks is a sure shot sign of structural damage, especially to the foundation of the house. As a matter of fact, cracks can be horizontal, vertical or random. There might be various reasons why cracks might have appeared on your walls. However, the most common reasons include improper construction and carelessness during initial construction. The material used to repair the majority of cracks is either cement or an epoxy mixture as it has an ability to fill the small and thin cracks and is high in strength. The material along with polymer filler or lime cement mortar is used to fill the cracks. It prevents differential movement of the underlying layers due to temperature changes. Cracks that are present between two drywall sheets are repaired by widening them with the help of a paint scraper. It is then filled with a new adhesive compound with regular swiping across the crack. After drying, the area is lightly sanded, wiped and painted with the regular paint. If the crack is very deep, that is, if it extends through the seam paper tape, then the tape is cut off without removing the paper covering. Any lose compound is scrapped and the crack is widened. It is then filled with a new compound. A thin coat is also applied to the area from where the tape was removed, a fiberglass seam is then placed thus bridging the gap. The wrinkles are flattened with a knife. It is highly recommended to apply multiple coating to avoid any wrinkles. Once the area is dry, wipe and repaint the area. Such types of cracks are though limited to a particular section but can be replaced and repaired. For repairing such cracks, the bead is first dented. It is then cut vertically around the corner bed, to fit the repair area metal snips are used to cut a section of new corner bed. A joint compound is then applied at the corner. The bead is set in its place and another layer of joint compound is applied. After drying, 2-3 coats are reapplied so as to diminish the wrinkles. Holes that are six inches deep can be repaired by patch kits. The patches are capable of adhering to the walls. These are then covered with a drywall compound. To repair the nail-pops, the heads of the nails are recessed creating a dimple which is then covered with a joint compound. We hope that the above-mentioned DIY ways to repair cracks would have helped you out. However, if it sounds like not your cup of tea, simply contact us! We are the leading renovation experts in Melbourne and have got the best solutions for you. Talk with us today!